It's only a few weeks after Cheryl Burke and her partner, NBA star Rick Fox, were eliminated from 'Dancing With the Stars,' but the 26-year-old Atherton native, now appearing in 'Forever Tango,' looks composed as she sinks into a chair on the stage of the Marines' Memorial Theatre and crosses her ankles gracefully. Her black spike heels look as if they'd be the perfect height for dancing a tango with a small forward, but these are not dancing shoes, she laughs, as she launches chattily into topics ranging from 'Dancing With the Stars' to being a dance beginner again. The little boy is covering all the buttons he can manage with his hands. As soon as a train stops, he pushes one of the oversize red buttons to send it on its way, but it's easy to see why he's obsessive: There is something magical about the San Francisco Public Library's Holiday Train exhibit. The kids can thank Roberto Lombardi, the Main Library's director of facilities for the delightful display of holiday trains, now in its fifth year. 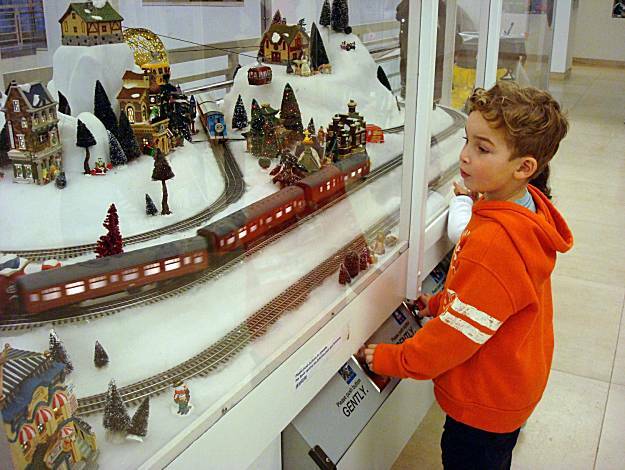 Along with other volunteers from his division, Lombardi, an amateur train collector, constructed the display of electric toy trains and sets up the snowbound village each year in front of the library's Fisher Children's Center on the second floor. Slumped quietly under a barre in San Francisco Ballet's studios, Artem Yachmennikov exudes a certain intensity as he watches Elena Kazakova rehearse for Helgi Tomasson's 'Nutcracker,' which opens Thursday at the War Memorial Opera House. He makes no comment and seems to barely move while the statuesque and elegant Kazakova works out a series of turns with her partner, soloist Vito Mazzeo. But if you follow his eyes, Yachmennikov, who joined San Francisco Ballet with Kazakova in July, has the unmistakable look of a man smitten. In fact, it was in the studio - when they both danced for the Bolshoi in 2008 - that he fell in love. For some, holiday decorations mean Christmas trees and wreaths, but in the Philippines, you're more likely to see festive star-shaped lanterns called parols adorning the streets and homes. 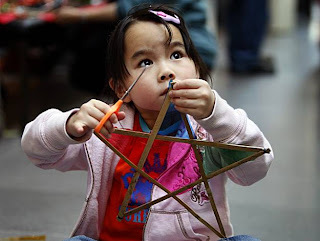 'Parol lanterns are traditional Filipino Christmas decorations representing the star of Bethlehem,' says Marcus Ante, public programs coordinator at the Exploratorium, who says the parol - from the Spanish word farol, or lantern - originated in the Pampanga province of the Philippines. I'm a writer, former dancer, and current foodie.